You may have heard these words before. 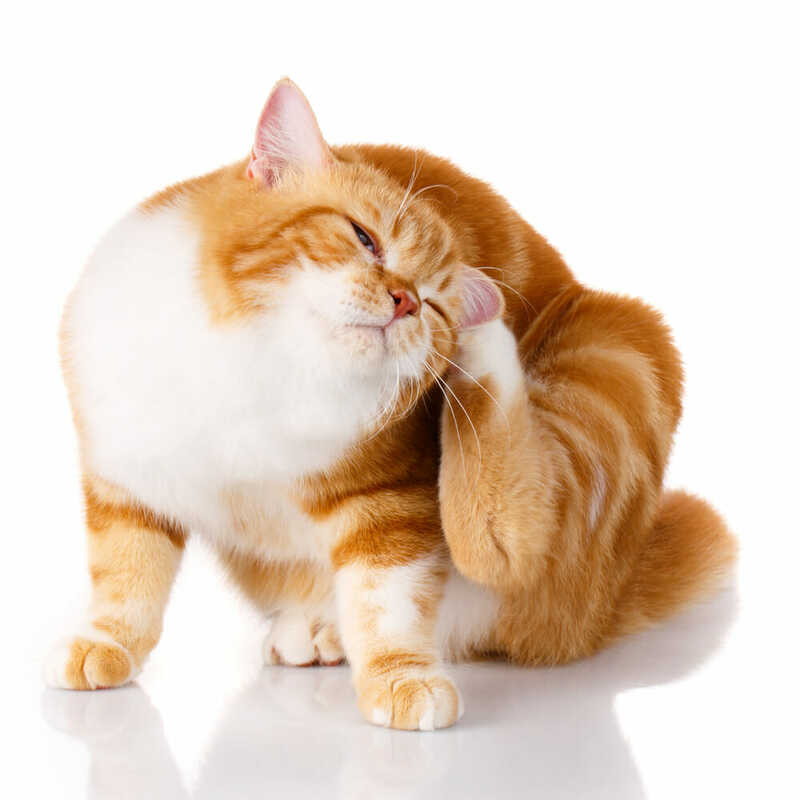 If your pet has come to see us for the odd vomit that isn’t so infrequent anymore, or session of diarrhea that just won’t quit – you may have heard your doctor mention, “I think that Fluffy may have something called inflammatory bowel disease.” But what does that mean, exactly? Unfortunately, the exact cause of inflammatory bowel disease, or IBD, isn’t completely known. The current train of thought concerning the cause of IBD is in line with certain food allergies or sensitivities, and defective tissue within the intestinal tract to regulate sensitivity to different proteins. This can cause vomiting, weight loss, and decreased appetite, and is usually seen as a chronic condition before actually being diagnosed. The occasional, once-a-year vomit or hairball is generally not too concerning for either dogs or cats; what points towards suspicion of IBD is a chronic, every-day type of vomiting. IBD does not discriminate in age, though certain breeds of cat or dog do seem to be more prone to it. All of a sudden, Fluffy isn’t feeling great; maybe they didn’t want breakfast for a few days, and they seem off, but you can’t pinpoint what’s changed. When you bring your pet in to see us with these concerns, we can work to rule out an upset stomach or the possibility that they have eaten something they shouldn’t have. We generally move to bloodwork to figure out what is going on inside of Fluffy. This blood work checks a full blood count, chemistry profile, and usually, a test for pancreas protein levels as well, as sometimes, there is a degree of inflammation in the pancreas as well as the rest of the intestinal tract. In cases of IBD, it is not unusual to see normal blood work except for a low intestinal protein value – which means Fluffy’s intestines are having a hard time holding onto the protein their ingesting. Advanced imaging is, of course, an option. IBD on ultrasound can be seen as a thickening of the intestinal wall; while on x-ray, it may be accompanied by gas. However, neither of these findings are confirmative of IBD. While we wish it were possible for everyone, the best way to confirm IBD is by taking a sample of the intestine and sending it away for testing. 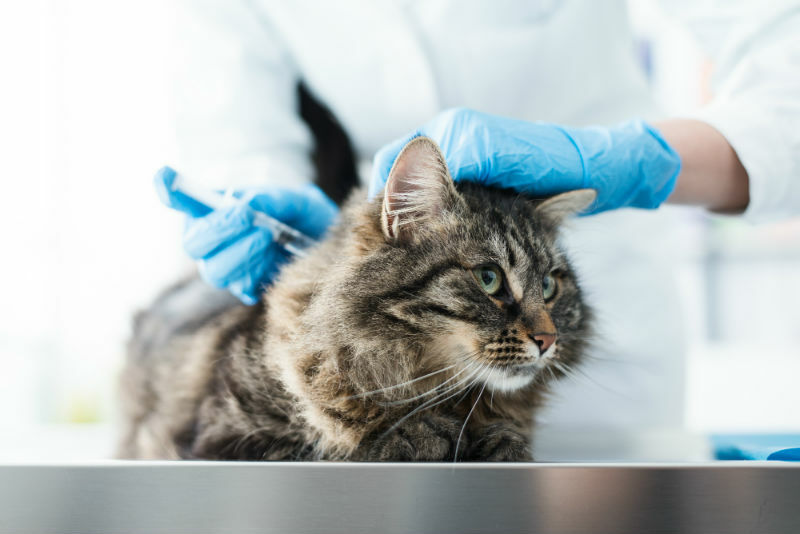 This means surgery for Fluffy, akin to exploratory surgery, and many factors are contributing to whether we would discuss this as a part of Fluffy’s treatment plan. Our main goal is to control Fluffy’s nausea and discomfort; this may include injections of the b12 vitamin to help support any loss from vomiting, or a course of steroids to help with inflammation. These are usually accompanied by a diet change, similar to that of a food allergy, where we discuss using different protein sources, or even going to hypoallergenic (non-meat protein) diets. If your pet is experiencing diarrhea, we support that as well. It may seem like an overload to start, but the goal is to get Fluffy feeling better, gaining any weight back that was lost, and finding a diet that makes their intestines happy. Inflammatory bowel disease is by no means a poor prognosis, it can be entirely manageable, and we are here as your veterinary team to make that as possible for you as we can.